Set up your Pulseway PSA account. You will see a window popup. 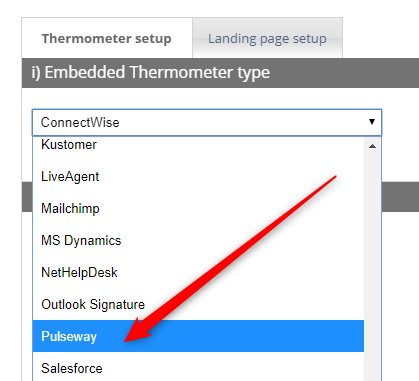 To find others, double click the field on the right sidebar within your Pulseway PSA template editor and copy the syntax shown. 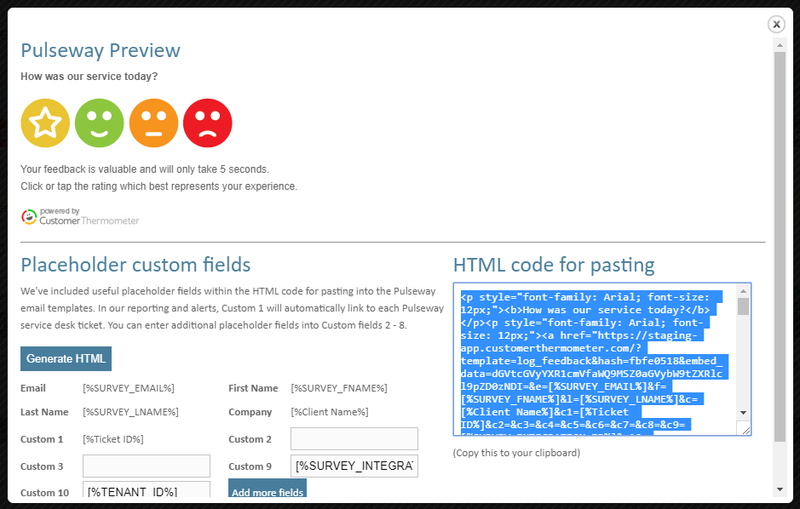 Copy the HTML generated to your clipboard, ready for pasting into your Pulseway PSA account. 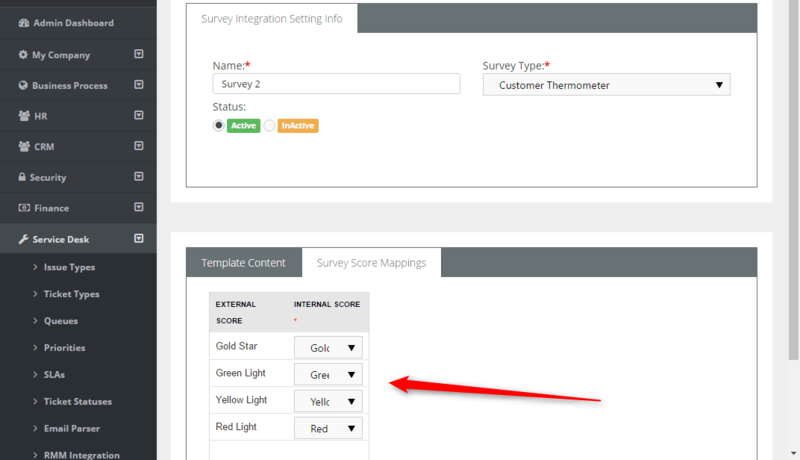 Firstly, define your Internal Survey Scores. 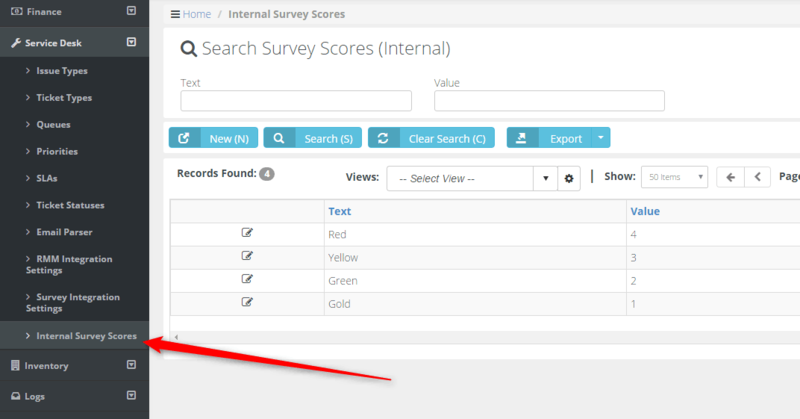 This will allow you to create averages & scores for agents & ratings within your Pulseway PSA reporting. Next, create your first survey. 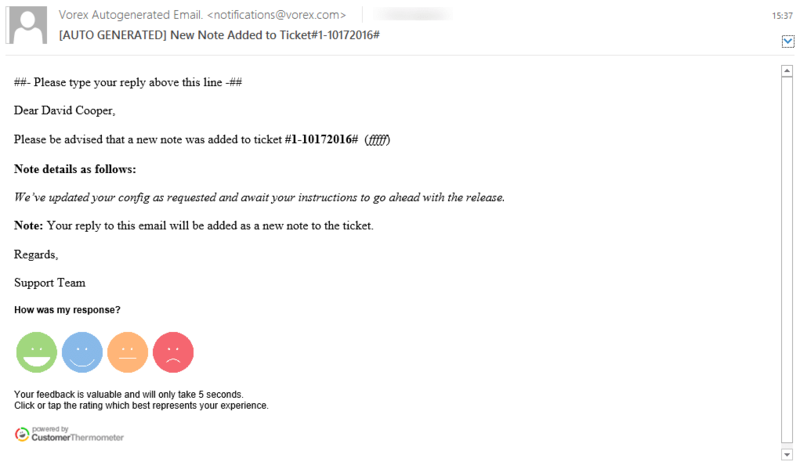 This will enable a shortcode to be inserted within email templates. Click SAVE when you’re finished and your survey will now be stored and available across your account. 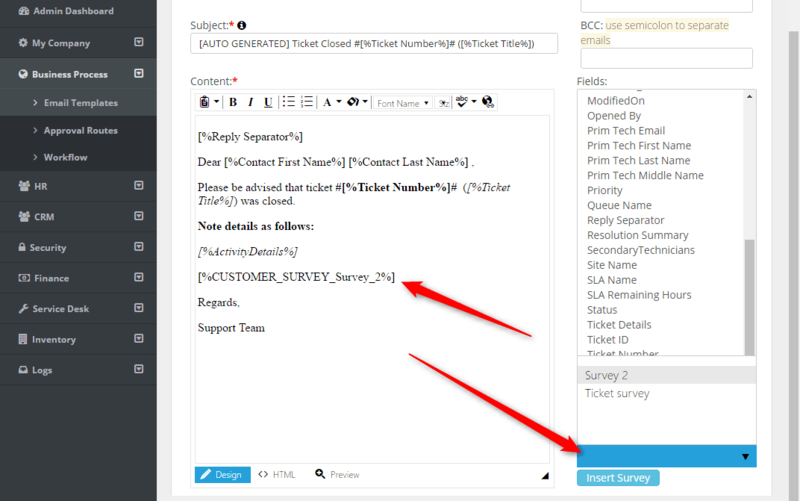 You are free to add additional, uniquely named, surveys. 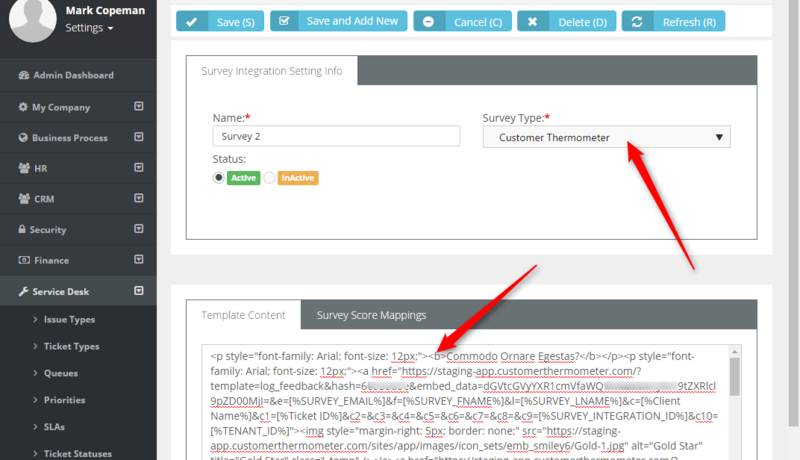 Once your survey(s) are stored, you can add them to an email template. 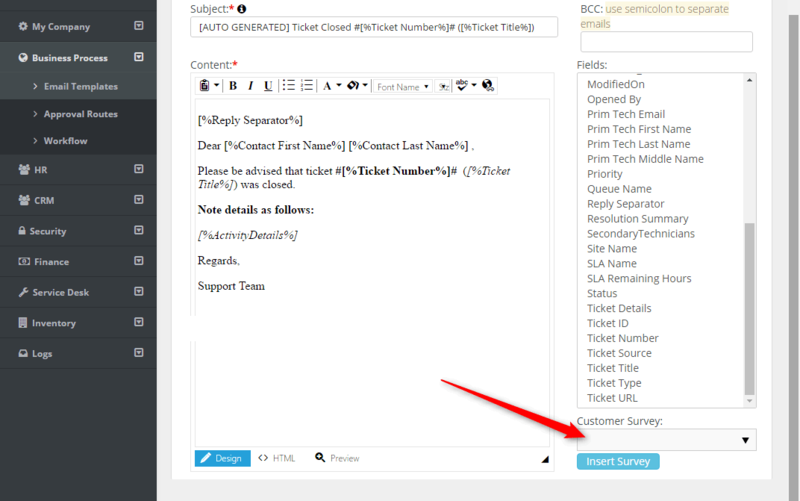 This will add feedback buttons to each notification and allow you to track 1-click feedback, identifiable to that customer, agent and ticket ID. 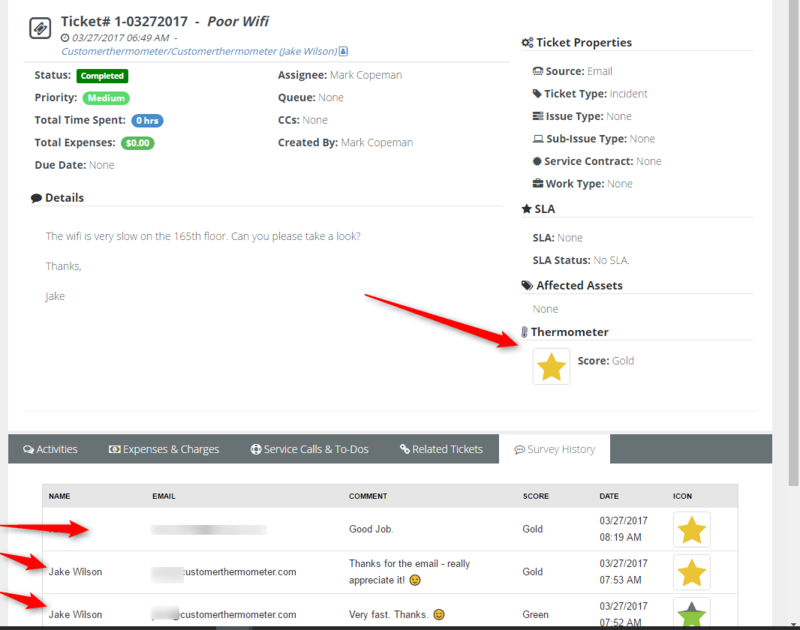 Depending on how you’ve configured your Pulseway PSA account, when a note is updated / ticket is solved, feedback buttons will track the recipient, ticket and agent details inside your Customer Thermometer account. When a customer clicks a rating – it is stored within your Customer Thermometer account. In addition, the ratings and comments are then added directly against the Pulseway PSA ticket. 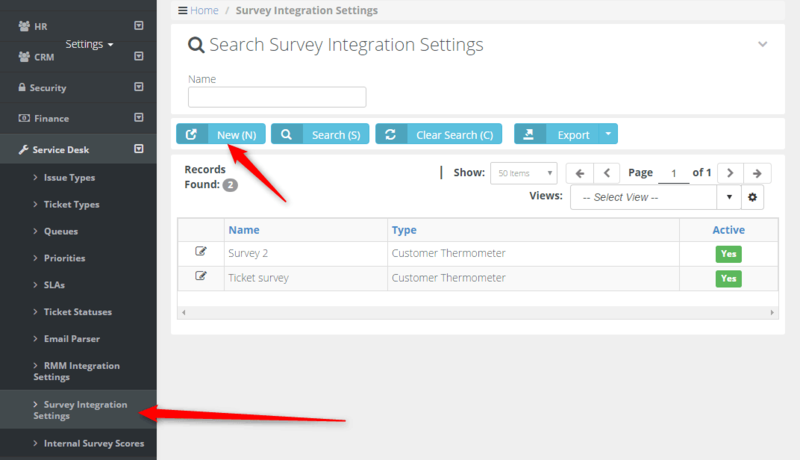 Don't forget you can also set up Pulseway workflows, based on ratings received.